If you have allergies, this is a pet free house! THIS HOME REQUIRES A 4 DAY MINIMUM BOOKING. PET FREE ENVIRONMENT!!! Just a 10 minute walk to the Santa Fe Plaza, this home was completed November 2006 and featured on the cover of the Santa Fe Realty Guide's, March 2007 issue. It has the classic beauty of the Pueblo Revival style architecture that everyone loves, with all the amenities of a new home. One enters the house through a small walled garden and into a Great Room with 11 foot ceilings of vigas and tongue and groove boards, and plaster walls. With the large windows, skylight in the kitchen, and double doors leading to the intimate back walled patio, this house is filled with light. The decor has a tasteful southwest feel and references Santa Fe's Hispanic and Native American cultural influences. There is a kiva in the living room, fired by a gas log for convenience, and the floors are beautifully tiled throughout the house with the exception of the bedrooms, which are carpeted. The kitchen is a dream of stainless steel appliances, granite counter tops, and cherry cabinets. The dining room table seats 6-8 comfortably and the kitchen is equipped with enough china, glasses, flat ware and pots and pans to have a dinner party or you could grill on the back patio! Master bedroom has a king size bed and flat screen TV, the guest bedroom has a queen size bed, both have walk-in closets. The master bedroom suite has two sinks and a fabulously open glass and tile shower that is big enough for two. Both bathrooms have beautiful tile, cherry cabinets, added hand showers and two big thick terry bathrobes per bathroom for your comfort. Due to severe allergies, this home will not accommodate any pets - visiting or otherwise!! All of this, on a quiet residential street on the north side of town, with no traffic and plenty of parking. Enjoy one of the best places to stay in Santa Fe NM! This property does not offer a landline. I was able to do everything by phone or email. I arrived on a weekend but staff was thorough instructing me on how to access the home. I like easy and it was. I spent two weeks in this home and was very comfortable. I appreciated having access to the attached garage and not parking on a street. 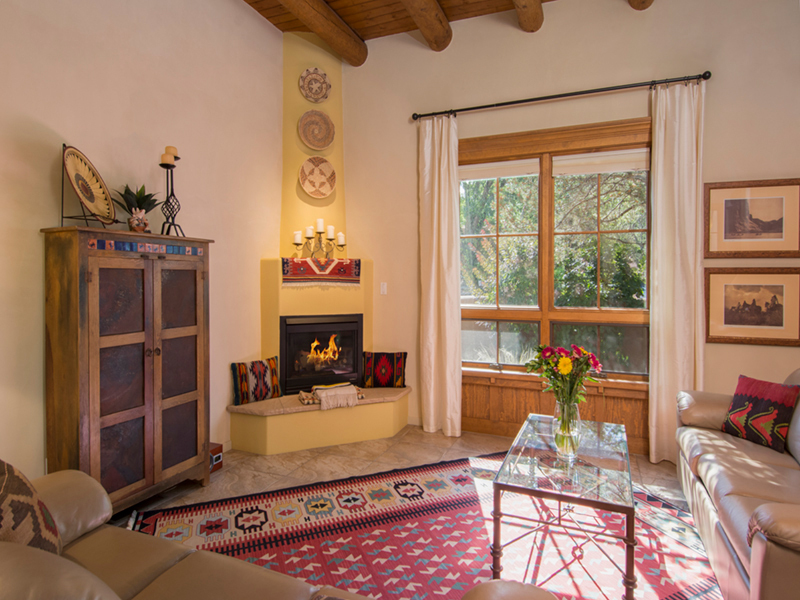 The home is Santa Fe charming and very easy to settle into. Friends and family visited and they were comfortable as well...lots of space indoors and out to relax. We especially liked the easy walk to access the restaurants in downtown Santa Fe. The kitchen is amazing! Everything one needs to prepare a meal, including the spices! I highly recommend a stay here...and working with Adobe Destinations. The location of this home is ideal! 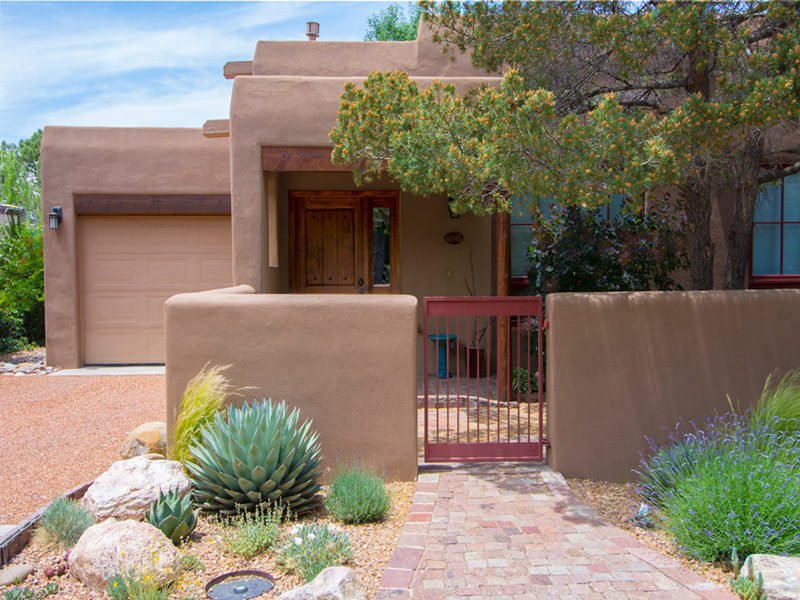 It is located in a quiet neighborhood and an easy walk to downtown Santa Fe. We loved it and would rent this condo again. It is close to downtown and that is important. 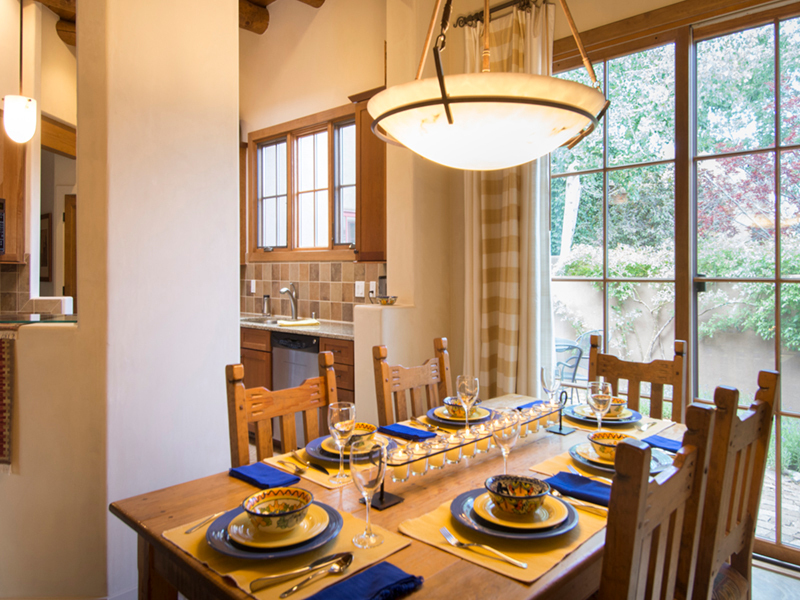 It is clean, well-decorated with a Santa Fe flair. The unit is well-maintained both inside and out. I understand that the owner is an avid gardener. The garden area at the entrance to the unit is charming and lovely. The patio area behind the unit is perfect in the morning. It is a also a wonderful place to relax in the evening. I understand that this is a couple who takes great care in the places where they live. It is obvious! Everything is in good working order. A great retreat close to all the fun of The Plaza...music, dancing, shopping and great food. It just doesnt get any better! This property is close to downtown. It is walkable to the Santa Fe Plaza. A beautiful walk. This is important because there is not much public parking near downtown. Most of the area near the Plaza is metered parking. The weather is always perfect! We have stayed at La Fantasita and always look forward to going back. We love this house. 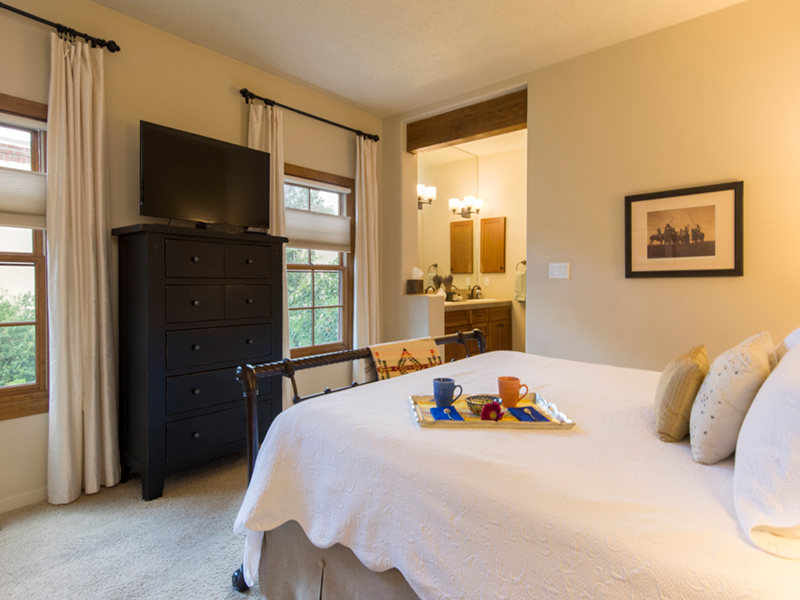 It is tastefully furnished, impeccable maintained and equipped with anything you could want. The house is bright and sunny and the 11 foot ceilings and open floor plan of the great room is a pleasure to gather and relax in. The intimate patio garden off the dining room is one off our favorite spots for morning coffee, lunch, or drinks and dinner. Located in the back of the house, with shading aspens, it could not be more quiet or private and yet, it is a comfortable walk to the Plaza. Cant wait for our next visit in any season. Two Casitas worked with your team. Thanks for both your efforts in getting us into Fantasia.